Thin Ice Press is housed at the University of York. We are in the process of building a reproduction common press, based on one that belonged to Thomas Gent – the York printer who produced pamphlets on the frozen River Ouse in 1740. The common press will be used alongside our other printing presses by staff, students and in public workshops. We have plans for publishing, research, teaching and outreach activities and we also hope to launch one or more imprints, as well as creative work. We hope the press will provide an opportunity to tell the history of printing in York and to also create links with the wider letterpress community of today. York is a fitting location to base the Thin Ice Press due to its vibrant printing history – from trade in the medieval city, to the ‘printer’s devil’ and the many printing houses of Minster’s Yard and Stonegate. 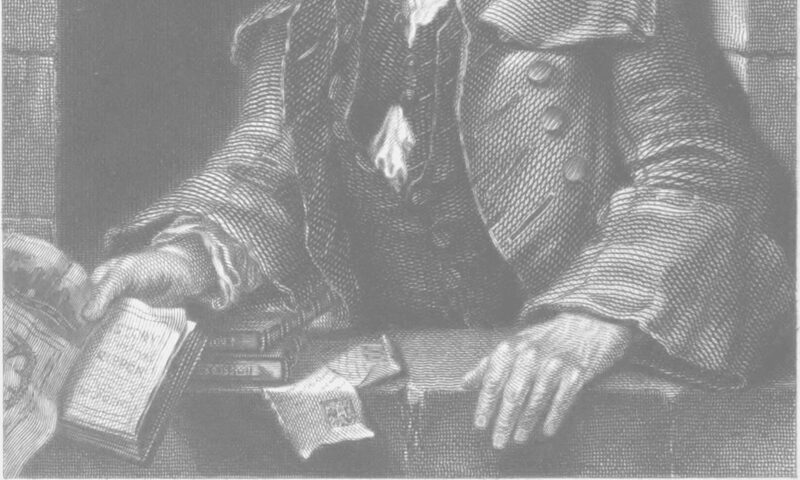 Thomas Gent (1693 – 1778) inherited his York printing business from his wife, published several works (including a commemorative handbill on the Ouse in the great freeze of 1740) and established a printing house in Scarborough. To help turn our common press into a reality the Scarborough Museums Trust kindly loaned us the historic press that once belonged to Thomas Gent. We have already used it to inform the plans of our own press and hope to start working on a display in the near future. Check out the links below to delve deeper into the history and subscribe to our blog for upcoming updates on the progress of the build, through which we aim to create a vivid picture of sixteenth and seventeenth century printing houses and practices. We aim for this page to become a showcase of all the projects Thin Ice Press will be involved with, from engagement opportunities to our publishing and creative work. Thin Ice Press made its debut at the June open days at the University of York. We introduced this exciting new project by having an Adana 8×5 in place at we talked about our plans for the press. As of the 31st of August we have three iron presses in the studio and you can find out more about them here. We are now working on stocking our studio. Currently our focus is with the ambitious project of creating a reproduction common press. We have found a suitable home for our press within the University, the 18th century Gent press has been brought to York for us to carry out detailed practical research into our chosen model and planning and purchasing wood is underway. Alongside a historical introduction to printing in York, it will provide a way to directly engage with a newer member of letterpress history. You will be able to follow all these updates on our blog. Stay up to date with Thin Ice Press news by following us on Twitter & Instagram. If you would like to get in touch we invite you to fill out the form below. To subscribe to our blog via email click ‘follow’ below.